The email was terse and to the point like all good correspondence. 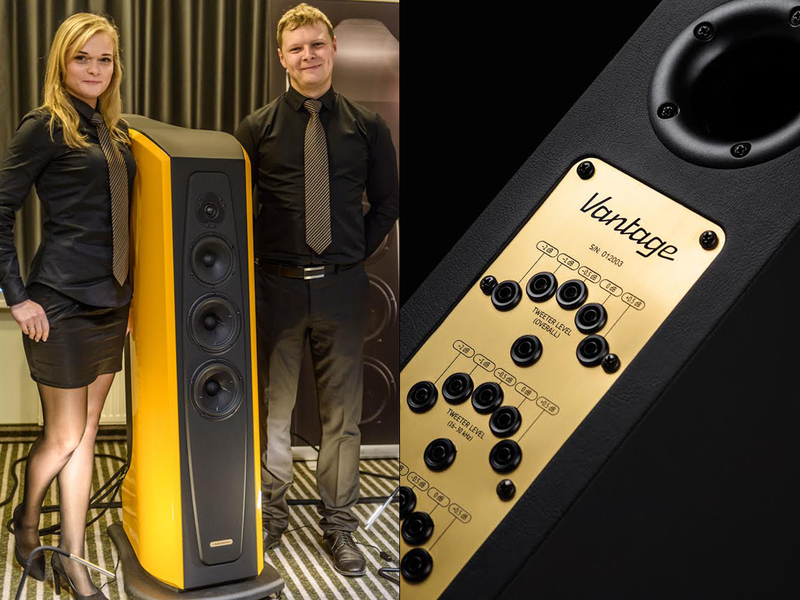 "This weekend we had a presentation of our newest speaker, the Vantage. I've attached some photos for you." "This is our top high-end model. It features tri-amp binding posts, a crossover with user-adjustable facilities, 300Wrms of power handling, 92dB sensitivity, a bandwidth of 21-30'000Hz and a truly astonishing midrange driver which we exploit for an enormous reach of 200-10'000Hz." 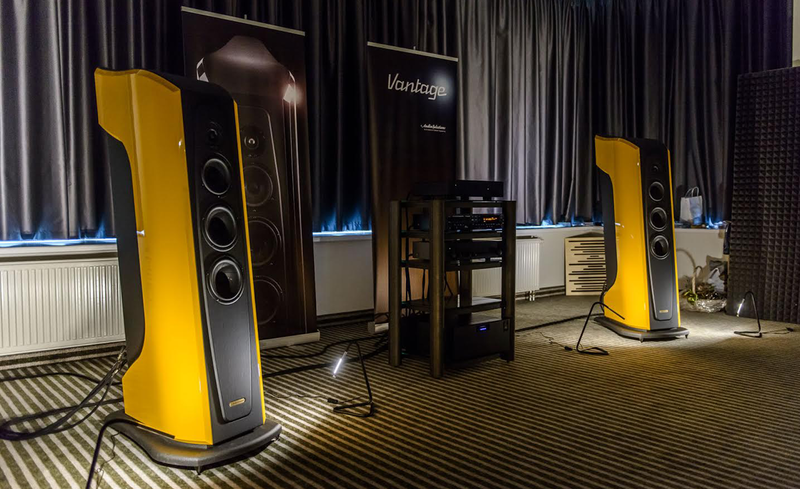 "We think of the Vantage as 70kg of pure elegance and high-end performance." Signed: Gediminas Gaidelis, AudioSolutions, Lithuania. This model dates back to a concept first pondered in late 2011. 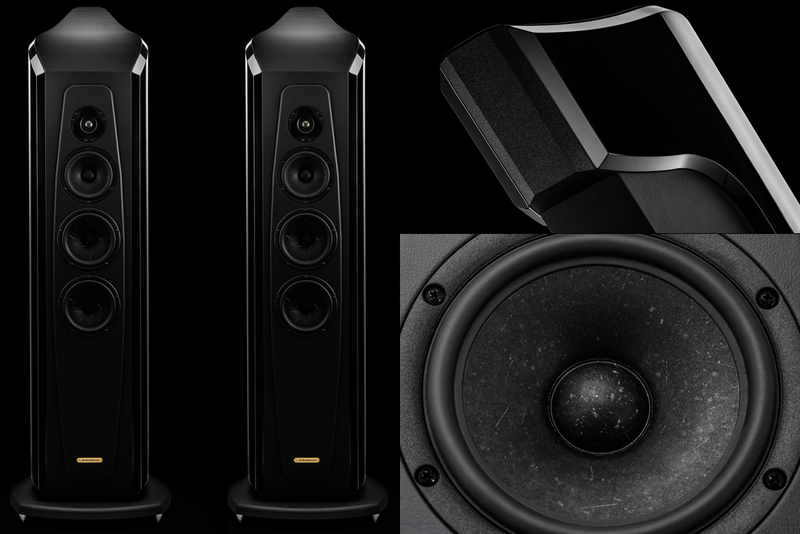 In its final end-of-2014 iteration, it combines a downfiring 26cm aluminium subwoofer up to 50Hz, two front-firing 18cm sliced-cone ScanSpeak Revelator woofers from 50-250Hz, the aforementioned SB Acoustics Satori midrange widebander and finally a Scanspeak Illuminator silk-dome tweeter to top off response to 30'000Hz. Those interested in more than this teaser and pricing should visit the maker's website. If this were an ad, this speaker would have the - er, advantage. As it is, it might just be about a new vantage point. Either way, it seems a promising proposition from a brand known for high value.